Vector design footage for fashion and style projects. 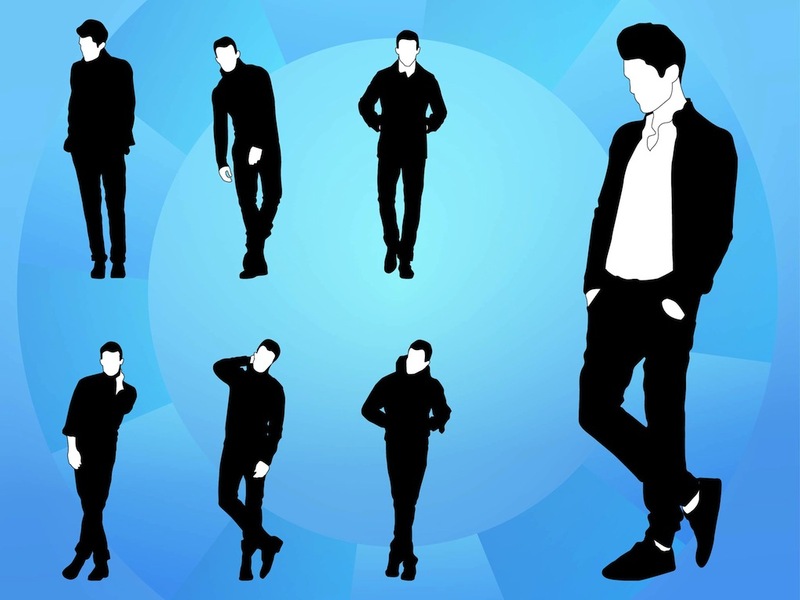 Silhouettes of male models with different clothes, poses and hairstyles. Variety of looks and positions of the slim elegant men. Free vector graphics for all fashion industry, modeling, new collections, trends, catwalk and fashion photo shoots projects. Tags: Apparel, Clothes, Fashion, Lifestyle, Men, Silhouettes, Stylish, Trends.